Selection pack of Champion & Reeves' premium traditional confectionery, inspired by the old favourite Callard & Bowser. 12x snack packs, with each snack pack containing 4 individually wrapped pieces. You can choose up to 4 flavours, so you will receive 3x the flavours you choose. Store in a cool, dry place. Shelf life: Nougats - 9 months, Cream Toffee & Butterscotch - 7 months. 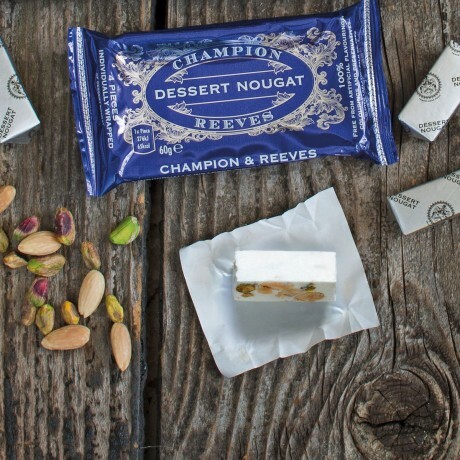 Dessert Nougat: Sugar, glucose, orange blossom honey 13%, roasted almonds (nuts) 13.5%, egg whites, pistachios (nut), madagascar vanilla extract, natural flavourings, edible wafer paper (potato starch and olive oil). 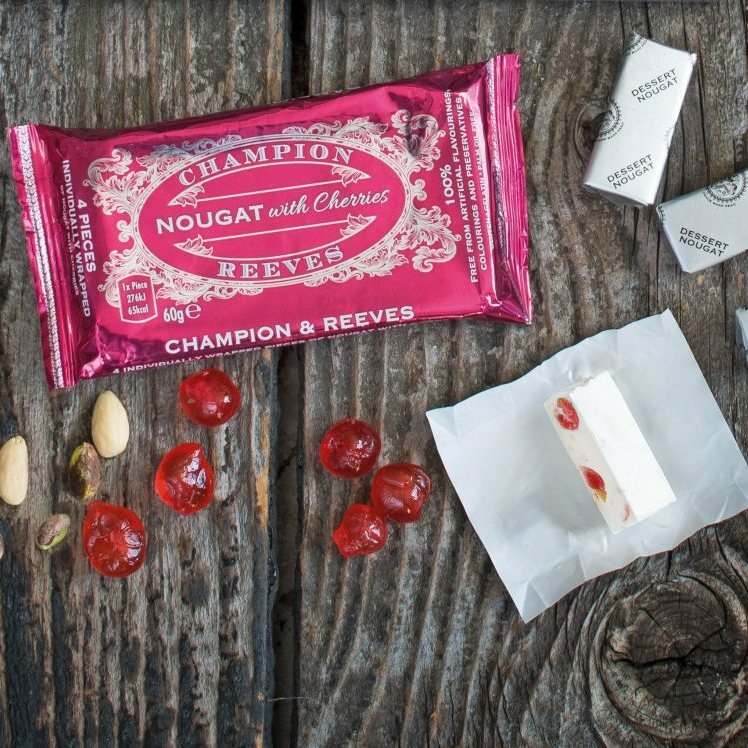 Dessert Nougat with Italian Rose Cherries: Sugar, glucose, rose water, orange blossom honey 13%, roasted almonds (nuts) 10%, cherries 4%, egg whites, pistachios (nut), madagascar vannilla extract, natural flavourings, edible wafer paper (potato starch and olive oil). Cream Toffee with Macadamia Nuts: Sugars, golden syrup 20%, double cream (cream) 15%, sea salt, unsalted butter (milk), molasses, madagascar vanilla extract, macadamia nuts 7%, natural flavourings. Butterscotch: Sugar, Glucose, Orange Blossom, Honey, Sea Salt, Brown Sugar, Unsalted Butter (Milk), Molasses, Madagascar Vanilla Extract, Natural Flavourings. Contains nuts, egg and dairy. Processed in an environment using almonds, pistachios, and macadamia nuts. These are the best you can get . Hi would have given 5 stars if item had been cheaper. At last I have found the perfect nougat – thank you, a thousand thank you’s , absolutely perfect. 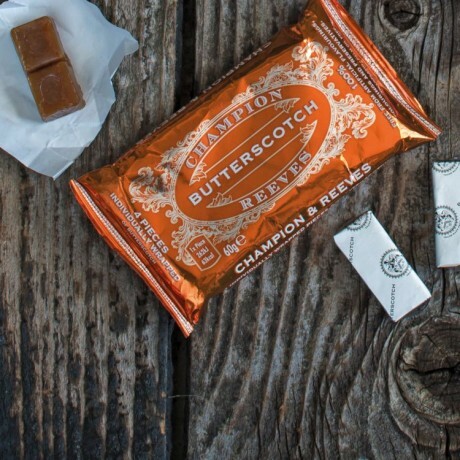 This product is dispatched by Champion & Reeves. This item has a shipping weight of between 720g and 720g depending on the options selected.